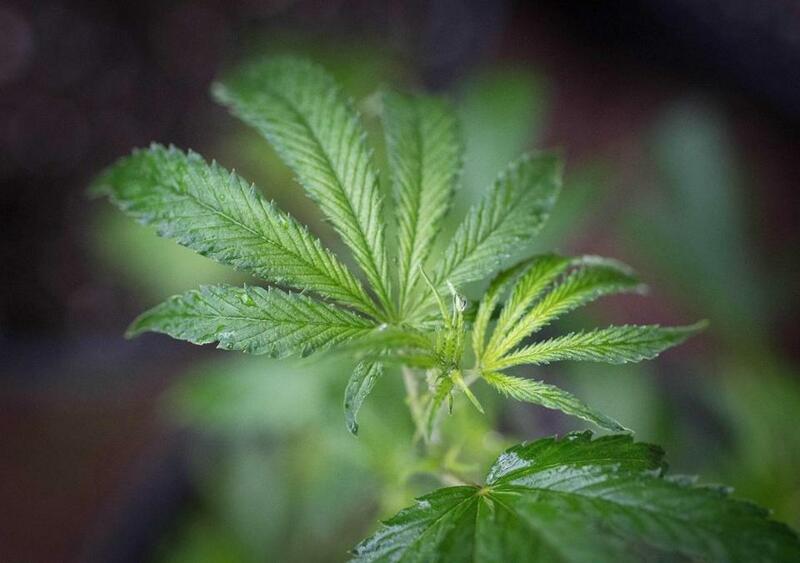 A marijuana plant is seen at a greenhouse in Mendocino County, California, in April 2017. Pro-marijuana campaigners in Newton declared victory late Tuesday night after a modest majority of voters in the city appeared to reject a pair of measures that would have banned or tightly limited the number of marijuana retail shops. Supporters of the ban did not immediately respond to a request for comment. Two nonbinding marijuana-related questions appeared on the local ballot Tuesday. One asked voters to support a ban on any pot retailers from opening in the city, while the other sought their approval to cap the number of cannabis shops. Neither would have taken effect unless the Newton City Council affirmed the measures by passing an ordinance. However, both appear to have been defeated. Late Tuesday, with all but two of the city’s 32 precincts having reported unofficial results, around 55 percent of voters indicated they opposed the proposed ban on pot shops and 53 percent rejected a proposal to cap the number of shops at between two and four. Voters in several states are deciding on far-reaching marijuana ballot measures today, and the results of a number of congressional and gubernatorial races could have big consequences for cannabis policy. Now, under state law, Newton will be required to welcome at least eight retail marijuana stores before local officials can summarily reject new operators. In 2016, about 54 percent of voters in Newton supported Question 4, the statewide ballot measure that legalized marijuana. But many Massachusetts communities that supported the 2016 measure have since banned recreational marijuana firms within their borders, often in low-turnout special elections not held in November. Overall, more than 200 of the 351 municipalities in the state have imposed bans or temporary moratoriums on recreational pot operators. Ahern’s group, Respect the Vote Newton, is backed by local medical dispensary Garden Remedies and Cypress Tree Management, which is planning to open another medical dispensary. Both eventually hope to offer recreational sales, too. The pro-dispensary group argued that such businesses are tightly regulated and secure facilities that would bring substantial sums of tax revenue to the city and keep the drug away from youths. 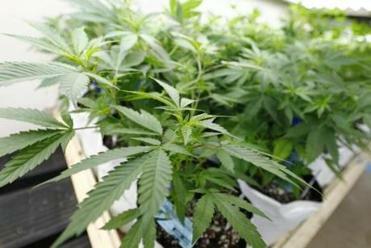 The group has also pointed to a proposed city zoning scheme that would significantly curtail the neighborhoods where marijuana stores are allowed to open. Ahern said Respect the Vote Newton has sent out mailers and knocked on thousands of doors. “Even in today’s age when we have online ads and digital advocacy, both of which help increase awareness, nothing beats knocking on someone’s door and asking if they have five minutes to talk about an issue,” he explained. Lisa Gordon said her pro-ban group largely conducted a grassroots campaign without the benefit of large donors, yet still managed to collect the 9,000-plus signatures needed to put a ban on the ballot. She explained that Opt Out Newton wasn’t necessarily anti-marijuana, but believed promises of a tax windfall are overblown and that the city should take a wait-and-see approach to supporting the commercialization of the drug. Gordon especially fears the marijuana industry will follow the tobacco and alcohol industry in marketing its products to youths, despite state rules meant to prohibit such practices.